Scenic invites you to See the World in 2019 with a range of just released exciting and great value offers. Travel with us across more than 60 countries and to most continents on Earth with our range of all-inclusive luxury river cruising in Europe and South East Asia, 6-star ocean cruising with Scenic Eclipse, and our range of stunning hand crafted land journeys. Set sail on a 15 Day Jewels of Europe cruise from Amsterdam to Budapest and experience Europe from a luxurious perspective. The Rhine, Main and Danube rivers once passed through principalities and dynasties that engaged in endless struggles for control of those tilling the fertile banks. However, so many of the villages along these great rivers have lived a charmed life, and remain as beautiful and engaging as ever. Along these old trade routes you’ll encounter all the very best that Europe has to offer. Cruise is priced from $6,995* per person twin share, plus economy flights to Europe for $295 per person on selected departures*. Enjoy a 15 Day Romantic Rhine and Moselle sojourn from Zurich to Amsterdam. 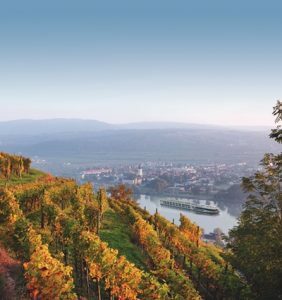 Anyone who doesn’t believe in the power of romance has never travelled along the Rhine or its idyllic tributary, the Moselle. The castles that grace this region sometimes seem as if they were lifted straight from the silver screen. From Lorelei to the legendary Black Forest there are stories and romances galore to discover and delight in. Cruise is priced from $7,995* per person twin share, plus economy flights to Europe for $295 per person on selected departures*. Immerse yourself in the imperial wonders of Russia on a 15 Day Jewels of Russia journey. From the might and splendour of Moscow to the beauty of St. Petersburg cruising on board Scecni Tsar, Russia remains one of the most intriguing countries in the world. Tour priced from $10,545* per person twin share, plus economy flights to Europe for $295 per person on selected departures*. Explore Myanmar’s hidden treasures on a 14 Day Mystical Irrawaddy cruise and tour from Yangon to Mandalay. Myanmar has a rich legacy of British colonial reminders nestled alongside golden pagodas and the traditional culture of the friendliest people on earth. Cruise and tour is priced from $10,485* per person twin share, economy flights included. Discover the wonders of Cuba in 6-star luxury on a 13 Day Cuba In Depth cruise roundtrip from Miami on board Scenic Eclipse – The World’ First Discovery Yachts. Featuring one exclusive Scenic Enrich experience in Cienfuegos, the cruise is priced from $14,995* per person twin share. Many special offers are available on a range of Scenic’s worldwide destinations and products, including river cruises in Europe and Asia; land tours in Africa, India, China, Australia, New Zealand, Canada, Alaska and the USA, as well as on Scenic Eclipse* sailings across the globe.